DC Electrical offer a personal but professional domestic electrical service to everyone in Bramley. With over 18 years of industry knowledge and electrical expertise, we guarantee that no matter what electrical service you require will be met with top quality materials, excellent electricians and a bespoke service. We are happy to offer all our customers a free estimate on any electrical work they require, so call us today and we will visit your property, discuss your requirements and draw up a suitable plan specifically for you. 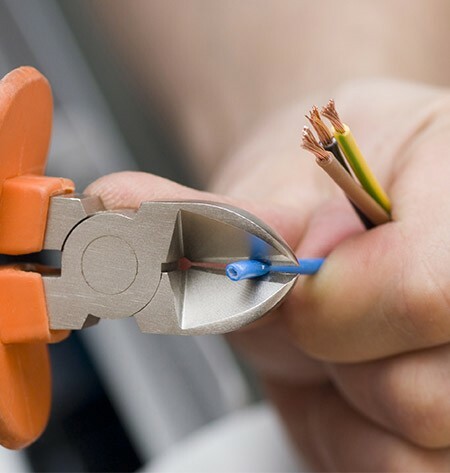 We are sure that we have the electrical service you require, and you can be sure that our highly skilled electricians will undertake it safely and skilfully, with as little disruption as possible to you, your family and your home. We’re Part P, NICEIC approved, which means our fully guaranteed electrical work is carried out safely and ethically, to the highest professional standards, which are independently verified by the Government Approved body. For an electrician that offers top class workmanship, call DC Electrical on 0113 370 9015 and find out how we can help.